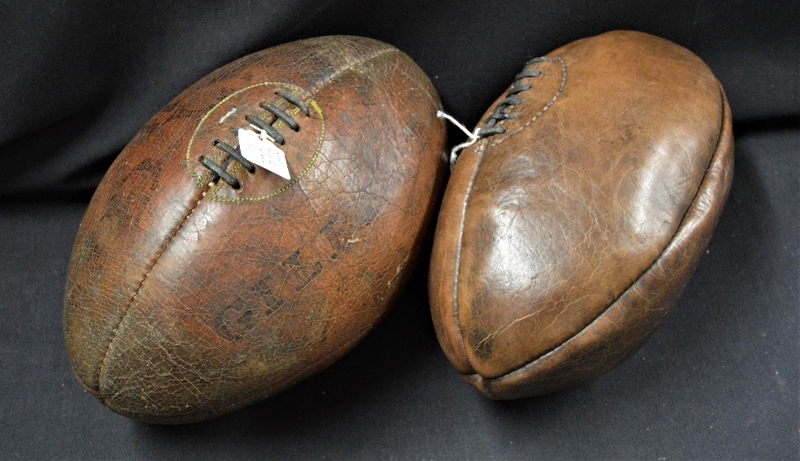 Pair of vintage leather Rugby Balls (2): Probably dating from the 1950s-1960s, one Gilbert 'Match' classic lace-up bladdered rugby ball, inflated and sound, and another unbranded, slightly smaller and less strongly inflated, with a darker 2" area to bottom seam suggesting previous mounting. 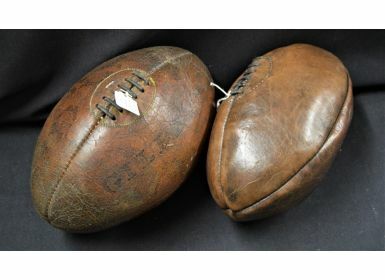 Attractive, evocative and decorative pieces (or you could play with them!). Good for age.